Quick, easy, reliable smartphone-based diagnostics for oral forms of STIs. Worldwide statistics for STIs are alarming, and yet their stigmatisation and slow healthcare administration often cause delays in treatment. From an intuitive iPhone app, the product provides easy, fast, reliable smartphone-based diagnostics for oral forms of STIs, which individuals can use in the comfort of their own homes. The back-end (serverside) is built in Python using OpenCV for computer vision. The front-end is both built using Flask and Swift. Medical accuracy was ensured using the recommended best practice and up-to-date medical textbooks. The lack of available data made Machine Learning (the prefered choice for such an application) impossible. We believe this could be a revolutionary creation, both for worried patients around the world struggling to see a doctor for their condition, and for over-subscribed health services. Most of the software was used for the first time, hence heavy learning was involved in every part of this project. We also learnt a lot regarding STIs and the worldwide statistics involved, which only strengthened our resolve that this is an important problem that needs addressing. Compiling a strong dataset that will allow us to build a more robust model using convolution neural networks. Adding more symptoms to our detection library to enable detection of a larger range of oral diseases. 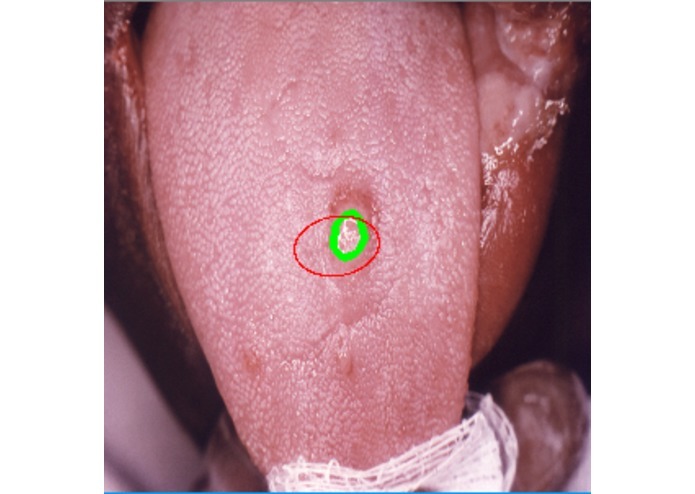 Worked on the image processing using openCV to detect potential mouth diseases as well as the frontend using Flask.